For the third year in a row, Animal Tales Extravaganza returns to the Wildlife Conservation Society’s Bronx Zoo every weekend from Saturday, April 21 through Sunday, June 30. Want some more great news? Animal Tales Extravaganza is included with your zoo admission! 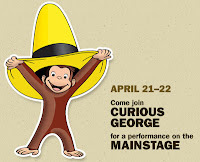 Each weekend of Animal Tales Extravaganza includes a variety of activities for families and children. The zoo’s Dancing Crane Pavilion will be transformed into an intimate story time corner, presented by Plum Organics. Zoo-goers can take a break and read from a wide variety of animal-themed books from Simon & Schuster, Candlewick Press, and Hyperion. Children can then stage their own animal tale with a puppet they create at the Bright Horizons Early Education & Preschools crafts area. In addition, this year features a special production – Avenue ZOO – featuring a guest appearance by Kate Monster, the beloved puppet star of the Tony Award-winning musical Avenue Q! Avenue ZOO performances take place every weekend until Sunday, Sept. 9 at 12:30 and 2:30 p.m.
May 5 and 6 – Nickelodeon’s Dora and Diego: We Did It! Children will enjoy meeting some of their favorite characters at the Dancing Crane Pavilion. 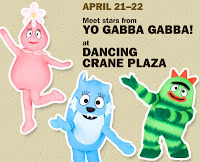 Meet-and-greets are scheduled with Yo Gabba Gabba; Marvel’s Avengers; Nickelodeon’s Dora and Diego; Buddy the T-Rex from Dinosaur Train; Maisy Mouse; Olivia and more! Click here to see a full listing of Animal Tales Extravaganza dates and times. Click here for hours, directions and more info. Click here to purchase tickets and save 10%!